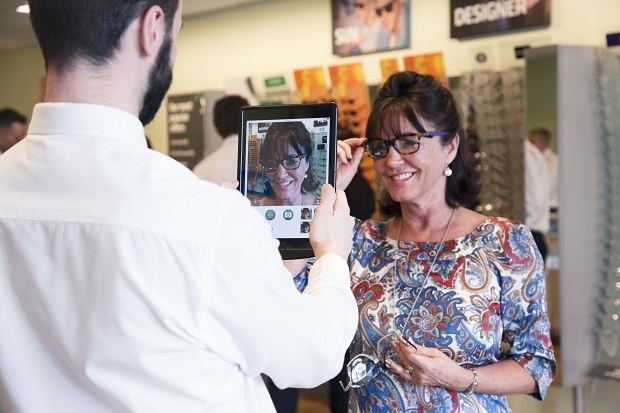 Specsavers is bringing a touch of Apple’s Genius Bar to optics with the roll out of a new look and feel for its practice floors which banishes booths and desks in favour of tablet computers and stand-up service points. 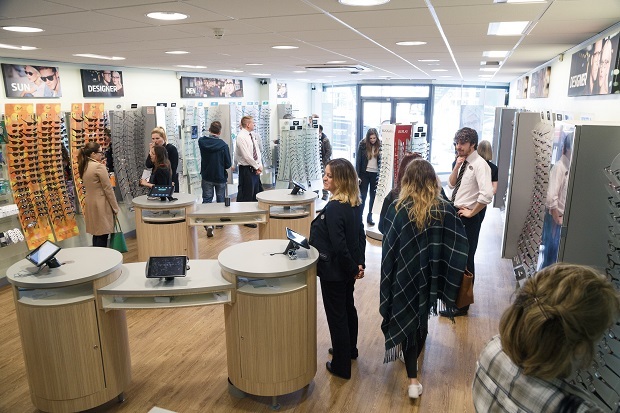 Brighton’s North Street store is one of the first Specsavers practices to benefit from the new look which will be rolled out across the network in the next three years. The idea behind the plan is to create a more flexible customer journey but also to eventually move to paperless working. On entering the store the patient is met by a member of staff who undocks one of the secured tablet computers and collect the patient data. This connects directly with the Socrates practice management system storing and collecting the patient’s data for use throughout the clinical and retail experience. Once the patient has undergone an eye examination a tablet is also used to take measurements using frame-on-face technology and a special device which is fixed to the frame and allows accurate measurements to be taken. 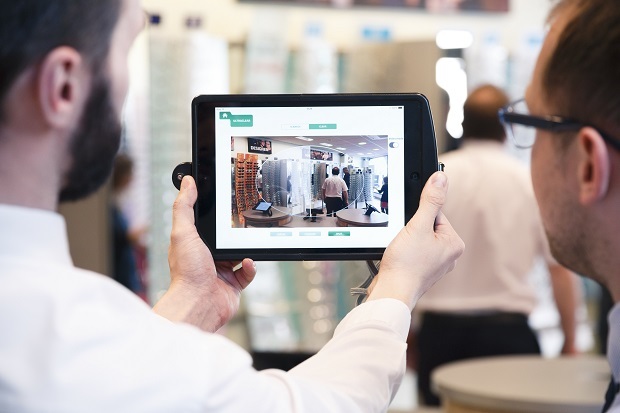 The tablet is further used to show the customer how frames look and to demonstrate lens features such as varifocal corridor width. This part of the journey, called digital precision eyecare, helps patients find the most suitable frames and lenses for their prescription, lifestyle and vision needs. This latest feature has already been rolled out across the Specsavers network. Another feature of the new look is that waiting areas will take on a more lounge-like feel with entertainment using TVs and tablets. Mike Horler, ophthalmic director at Specsavers Brighton, said: ‘We are delighted with the new look store. 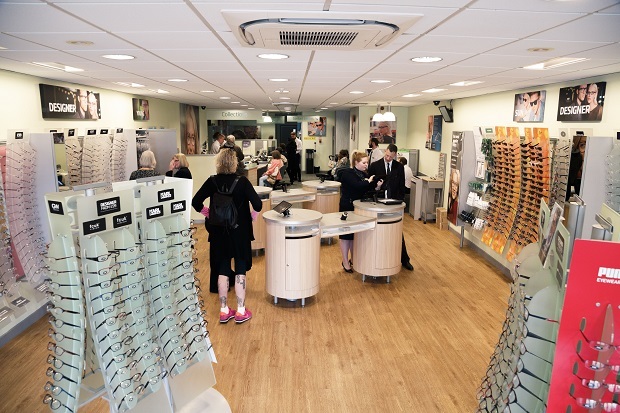 Specsavers has really taken optics a huge leap forward with the creation of a very modern and efficient retail environment.’ He said the feedback from customers had been positive. 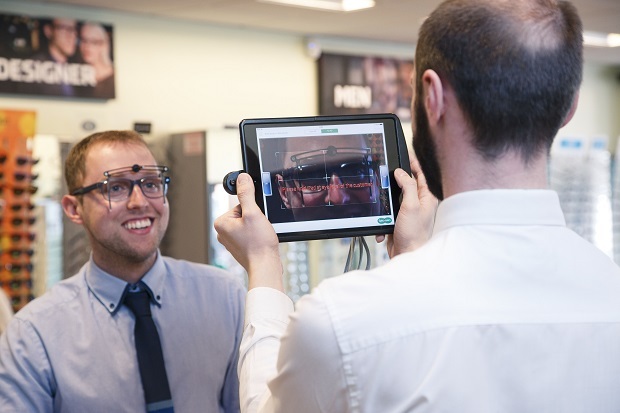 Specsavers undertook a research and development project among consumers to create the new shop floor concept. It was piloted in the Bolton before being extended to stores in Fleet, Richmond, Kingston and Brighton. Research continued during the trial phase to ensure customers saw the change as a positive benefit, said Specsavers.